A challenging tour on the roads of one of France's best kept secrets. A succession of beautiful and dramatic landscapes will leave you breathless! For riders who have strong confidence in their cycling fitness. Daily distances can be over 100 km on hilly to mountainous terrain. Tours will include climbs of over 10 km in length but not as steep as our Alps or Pyrenees tours. This type of tour is for cyclists who are having their first go at a mountain tour or for those who want climbing without the long climbs of the Alps! 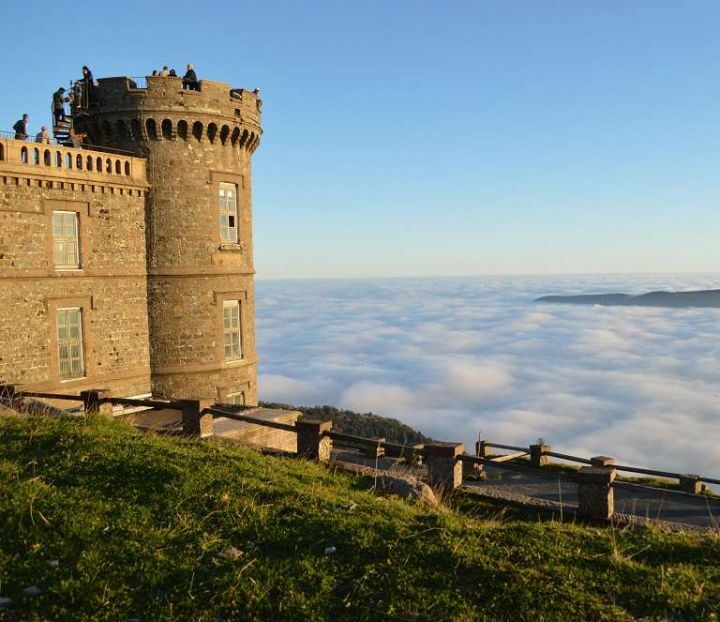 The remote but dramatic Cévennes region has long been a hidden gem of Southern France. Although not completely ignored – Robert Louis Stevenson’s Travels with a Donkey in the Cévennes (1879) is considered one of the first and finest examples of outdoor literature – the Cévennes remain determinedly un-touristy and crowd free, even in the height of summer. The area has seen its share of troubles, most notably at the beginning of the 18th century. The protestant tradition in the Cévennes had escaped the worst of the religious wars due to its remoteness and lack of commercial value but this changed when Louis XIV’s catholic armies were sent to supress the protestant inhabitants known as Camisards because of their long-sleeved smocks. The brutal oppression triggered a guerrilla war which lasted two years until 1704, although full peace was not achieved until Louis’ death in 1715.
n the 21st century, the region still has a large community of French Protestants. They identify as Huguenots, descendants of peoples who have inhabited the mountains since before the 16th century. Today the region’s very remoteness means that it is a haven to rare species of fauna and flora – eagle owls, griffons, peregrine falcons in the air, wolves and wild boar in the forests, beeches and chestnuts, orchids and chanterelle mushrooms – in fact the Cévennes are home to more than a third of all species found in France. Our tour travels along the most scenic of roads in this most scenic of regions, whilst staying in the most comfortable and charming of hotels. We collect from either Nîmes railway station or Nîmes Airport. After a 30 minute transfer we arrive in the medieval town of Uzès, the starting point of our ride. Early arrivals will have a chance to ride to the Pont du Gard, the famous Roman aqueduct dating from the 1st Century, or a shorter ride to the village of St-Quentin-de-la-Poterie, renowned for its artisan potters, sculptors and ceramics. After settling in at the hotel, and maybe having a swim in the rooftop pool with views of Uzès' Cathedral with its spectacular Tour Fenestrelle tower, we'll head into the pedestrianised town centre for a sumptuous dinner. We set out north on undulating roads through rocky outcrops and forests of cork oak. After a coffee stop we tackle the first challenge of the tour, a climb to the weather station on Mont Bouquet. At 522m it is a nice warm up for the week ahead and rewards us with spectacular views of the Langedoc Plain. Our next port of call is the hilltop village of Vézénobres. The medieval cité includes several unique buildings including the Chateau de Thoiras which is now the village town hall. The town is also a great stop for lunch. 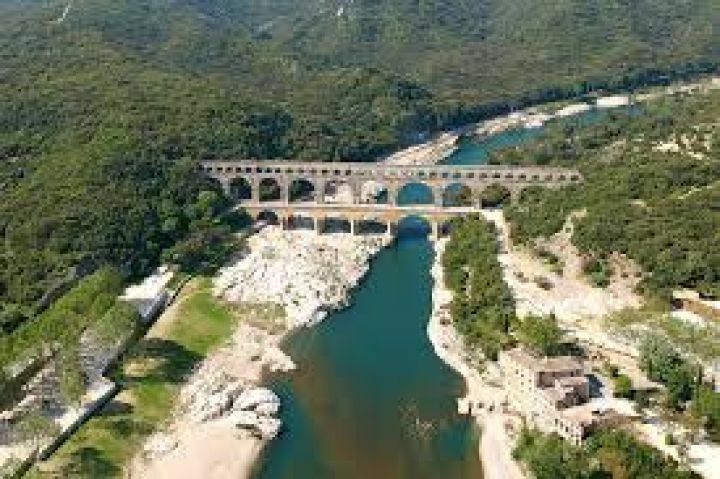 In the afternoon we cross the Gardon and continue to the historic town of Anduze. Inhabited since megalithic times, subsequently occupied by the Gauls and then the Romans, in the 12th Century it was the most powerful town in the Languedoc. It was the centre of Protestant revolt in the 17th century. After a coffee stop in the old town there is an optional visit to the Bambouseraie de Prafrance, a marvellous collection of exotic plants set in hectares of bamboo groves. Our final destination today is a hillside hotel looking over the valley of the Gardon de Mialet, with stunning views and a terrace perfect for a sundowner. We’ll eat here tonight at the hotel's gourmet restaurant. We are up bright and early for a big day in the saddle! Following the River Gardon towards its source, we pass through the village of Mialet stopping for a quick look at the 14th C Pont des Camisards. 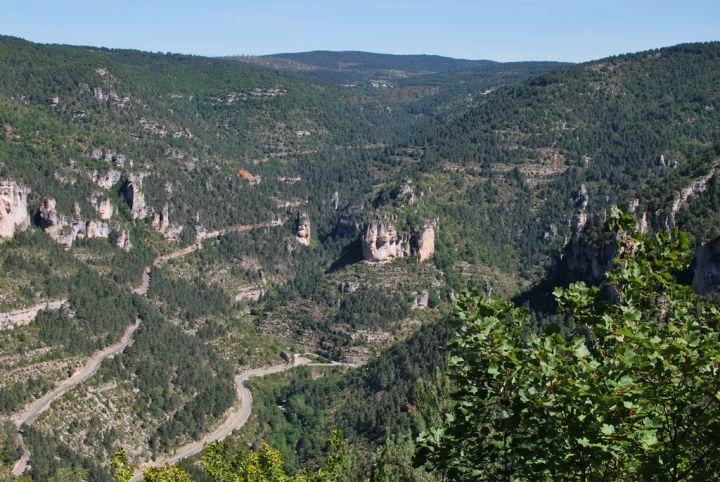 After a coffee stop in St-Jean-du-Gard, we take the D9 road, known as the Cevennes Corniche. After lunch in the riverside village of Valleraugues, the climb to the summit of Mont Aigoual begins. Height is gained fairly, with no super steep sections - pick a steady gear and take time to appreciate the amazing scenery! The views from the summit are ample payback for the climb, and the fabulous descent to our hotel in the picturesque village of Meyruis is a bonus! There is a choice of rides today. On the first, for students of human achievement, we ride to Millau, following the Gorges of the river Jonte and then the banks of the Tarn. In Millau we can see the incredible Viaduc de Millau, designed by Richard Rogers - to try to imagine its scale, picture the Eiffel Tower sat on the banks of the River Tarn - the bridge pylons are 19 metres higher! After lunch in Millau, we take the road over the limestone plateau back to Meyrueis. The second ride is one of the most beautiful stretches of road in France, the Gorges of the River Tarn. Following the course of the Tarn River for 50 kilometres, the Tarn Gorges are among the deepest gorges to be found anywhere in Europe, with several viewpoints to take in their majesty. The return ride follows the gorges of the River Jonte back to Meyrueis. Heading south we follow the River Trévézel towards its source and cross the first of today's challenges, the Pas de l'Âne (Donkey Pass) and descend through gorges into the village of Tréves. More spectacular scenery follows on the small climb to the Col de la Pierre Plantée before another fine descent to cross the River Dourbie in St-Jean-de-Bruel - a great place for a coffee stop. After lunch in Alzon, the big event of the day is the climb to the astonishing Cirque de Navacelles. The Cirque is a natural wonder - in previous ages the River Vis carved a deep canyon in the limestone plateau, and formed an oxbow, the loop of which joined together to form this massive 'crater'. Hard to describe, and pictures don't do it justice, but you will be blown away! The descent to the town of Ganges is a welcome chance to stretch out tired legs, before arriving at our hotel on a wine making estate. A shorter and easier day today to end the week's riding- but still with a little bit of climbing! 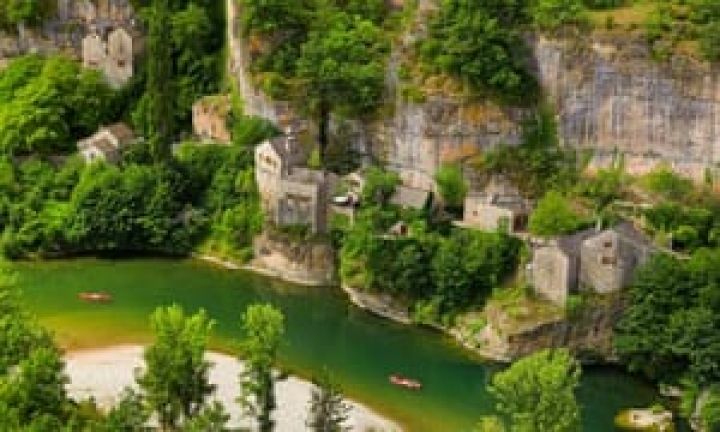 We head south and west following the Hérault river, both along its edge and climbing above it, with some of the most dramatic scenery from any of our tours. We arrive at the beautiful village of St Guilhem le Désert, with its UNESCO-registered Abbey and winding streets. The village, which is on a pilgrim route to Santiago de Compstella, has been preserved in its original medieval state, has been nominated one of the plus beaux villages de France (most beautiful villages of France). Saint Guilhem is a perfect place for coffee in the picturesque village square in the shade of a plane tree. 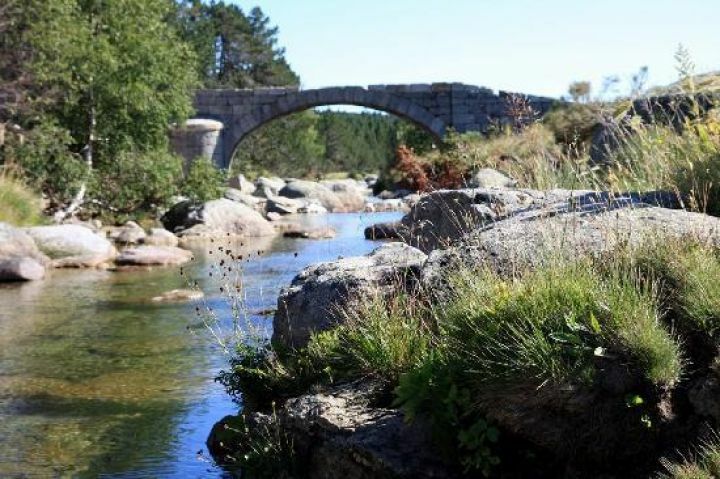 Crossing the River Herault by the Pont de Diable, we then meander through vineyards and typical Languedocien villages to our final stop in the medieval village of Pézénas. We should have time before our final celebration dinner to wander the pedestrian alleys of the old quarter with its galleries, craft shops and delicatessens. Our luxurious hotel is a converted distillery a few steps from the ancient streets in the heart of the town. After breakfast, and swapping photos and contacts, transfer to Béziers for onward travel. We try to include as much as we can within the price, while keeping things as flexible as possible. With the explosion of low cost airlines and the easy access to the TGV rail system from the UK, we believe that it is more economical and convenient for customers to arrange their own travel to the region. Links to the airlines and railway companies can be found in frequently asked questions. We provide the transfers to and from the local airports and the nearest TGV stations, and other locations by arrangement. If you have driven down, we arrange secure parking for your car and return you to it after the tour. We stay in very comfortable hotels, mostly 3*, occasionally 4*, and very occasionally superior 2* hotels which we choose if they have charm and comfort above their rating. All rooms have en-suite shower or bath facilities. We select our hotels for their character as well as their facilities, and avoid chains in favour of independent privately run hotels. Prices are based on two sharing in twin or double rooms. Singles are available on request. Where possible, we choose hotels with swimming pools as there is nothing quite like a dip after a day in the saddle! It is sometimes necessary to change accommodation for reasons of room availability, minor adjustments to the route or upgrading the hotels. We will always endeavour to use hotels of an equal or higher level of comfort/facilities to those shown – please contact us to check for the most up-to-date information regarding your particular tour. All evening meals are included, and we carefully select the restaurants for cuisine and ambience, and favour those with a strong regional flavour. All meals include a starter, main course and dessert, some will have an additional cheese course. We are happy to arrange for our restaurants to cater for specific dietary requirements and allergies etc. On sports tours we try to make sure that the meals are suitable for a challenging week of cycling! We do not include lunch, as the costing of these is beyond our control, but where route and weather allow we organise picnics; these feature copious salads, cold meats, cheeses, crusty bread, fruits, etc, and a choice of drinks; we ask for a contribution for the costs of the consumables, which usually works out at 8 or 9 euros per person per picnic. Where route or weather does not allow a picnic, we recommend suitable cafés and bistros. Many people prefer to bring their own bikes for sports tours; however, if you would prefer to rent a bike locally, we can provide quality carbon fibre framed road bikes at a reasonable cost. If you are bringing your own bike, we will carry your bike case with us during the week, or arrange for it to be taken to the final hotel and stored. There will be two guides on every tour; one cycling with the group and one in the minibus which will follow the group. The bus carries all luggage not required for the day's ride and will always be available for anyone at any point during the day. If for instance you want to take a day off the bike, or if a particular day seems a little hard, the bus will take you for as long or as little as you wish it to. Everybody is provided with detailed route maps for each day, and both guides are easily contactable by mobile phone. The guides are enthusiastic experts on the local area and will be able to sort out any problems or special requests that you might have. Ideally situated on the edge of the old town with its cobbled streets, the 4* Entraigues is a converted 15th C coaching house, and character and history oozes out of every pore. The Hotel has a fabulous rooftop restaurant, and a swimming pool with views to the Cathedral and its distinctive tower. The rooms have been recently refurbished and style and comfort is everything and more that you would expect from a 4 star hotel. Up on the hill above the Gardon de Mialet river, this recently refurbished hotel has a terrace with a spectacular view down the gorge and a swimming pool and gardens seeming to tumble down the hillside. The excellent restaurant also overlooks the gorge, making the most of that view. An ancient benedictine monastery, then a seigneurie (feudal manor) and now a magnificent 4 star hotel, the Château d'Ayres sits above the charming village of Meyruis. It boasts both indoor and outdoor pools, and a fabulous restaurant - eat in the dining room with its monumental fire place or on the shady terrace. This fortified farmhouse, dating from the 16th Century, surrounds a charming courtyard and the gardens and swimming pool look on to the Montagne de la Fage, under which lies the Grotte des Demoiselles. This former brandy distillery has been transformed into a luxury hotel with a contemporary design and is set a stone’s throw from Pézénas’old quarter. The hotel’s restaurant serves modern French cuisine with a Spanish flavour, befitting the culinary influences of the area. Below we answer all the most common questions that you might ask before choosing a French Cycling Holidays tour. If you have any further questions then please get in touch. We look forward to hearing from you. Anybody who is reasonably active should be able to take part and enjoy our tours. 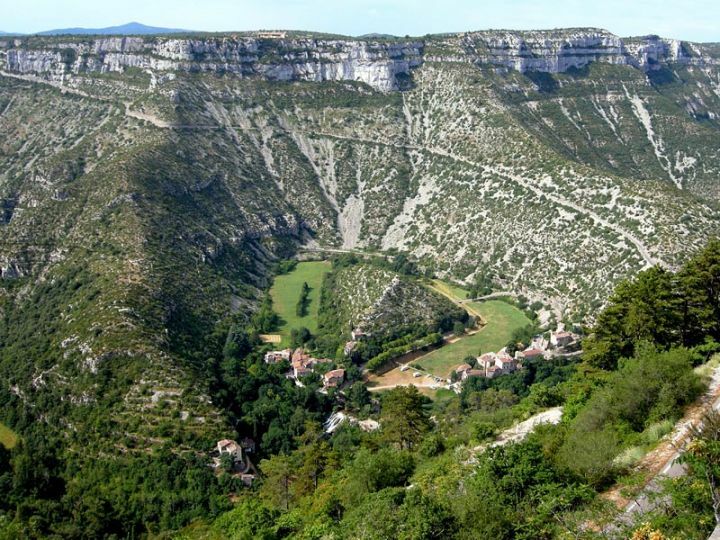 The tours have different levels of physical exertion — whilst the Loire Valley tours and Bordeaux tour are easy going; the Normandy, Provence Roman Heritage, and Burgundy tours are a little more strenuous, whilst and the Provence Lubéron, Dordogne and Languedoc tours require a reasonable level of fitness. For nearly all of our tours an e-bike - electrically assisted bicycle - is an extra-cost option. These bikes apply a 'multiplier' to the level of input provided by the rider, the level of assistance can be adjusted for the terrain. This can be useful if there are members of your party have very different levels of bike-fitness and experience, as hills that look daunting suddenly become easy with an e-bike. Contact us via the contact page if you would like more details. The Sports tours are aimed at enthusiast cyclists who might want to bring their own road bikes. However, the rides are not races and there is no time limit - and there is always the minibus if things get too tough! We would nevertheless recommend that anyone who has not taken any regular exercise for some time to consult their doctor before considering any activity based holiday. Bear in mind that a little regular riding before coming on a cycling vacation will always be a benefit to the experience. Ryanair operates out of Liverpool, London Stansted and London Luton Airports amongst others. Easyjet flies into Montpellier (for the Provence tours) and out of Bordeaux (for the Bordeaux tour); it flys into Geneva and Lyon for Alpine tours and also out of Nice for the Alpine Raid. British Airways prices can be reasonable if booked in advance — BA fly into Bordeaux for train transfers to Bergerac (Bordeaux tour), and Marseilles (Provence tours). If we do not pick up from the airport itself, we will advise on rail connections from the airport to our pick-up points. The TGV can be an exceptionally quick way of reaching many French destinations from the UK and from Paris for those flying from overseas or UK regions. The Eurostar SNCF (French National Railways) TGV websites may be useful. As a guide, London St Pancras to Avignon via TGV takes approximately 6½ hours; Tours takes 4 hours. From Paris Charles de Gaulle airport, the point of arrival for most intercontinental flights, Tours is 1½ hours by TGV, Avignon (for Provence) just over 3 hours. Brive-la-Gaillarde is 4 hours from Paris by rail for the Dordogne tour. We are more than happy to advise on rail options — please contact us. Internet sales from the French SNCF site ( www.voyages-sncf.com sites are possible but are in French; the approved agency for the US and Canada is RailEurope ; however we are happy to advise and help with the French website. This may be a good choice if your French Cycling Holiday is part of a longer stay. We will arrange secure parking for your car at or near our first hotel, and return you to your car at the end of the trip. (Note - this service may not be available on certain long distance sports tours - please check with us). The major ferry and crossing companies from the UK are Eurotunnel, P&O, Brittany Ferries, LD Lines, Speedferries and SeaFrance. If it is more convenient for you to hire a car Europcar in our experience have the best rates for rentals where the drop-off is at a different location to the pickup. However you choose to travel, we are very happy to help you sort out your itinerary. What kind of pedals do you use? Flat – i.e. no special cleats or grips, these pedals can be used with any kind of footwear. If you do not regularly use special pedals or cycling shoes, we recommend standard trainers/sneakers to wear while riding. SPD/flat – we also have pedals with one side flat and one side an SPD cleat. This is the standard Shimano SPD compatible system; two bolts and the small cleat pictured on the shoe with the yellow sole. These cleats are ideal for cycling tours as the cleat is usually recessed into the bottom of the shoe. The pedals are visible to the right of the picture. Flats with cages – we have a small number of flat pedals with cages & straps – again if you are not used to this, we wouldn’t recommend starting a tour with them! Other – we do NOT stock any other pedal systems. If you use any other kind of pedal, you are very welcome to bring your own and our guides can fit them to your bike for the week. However, we would advise against racing-style pedals such as the Look Keo, Shimano SPD-SL or similar, as these tend to have a large, protruding cleat on the sole of the shoe which makes walking around visits or lunch stops (or even nipping into a public toilet!) quite uncomfortable and dangerous. Sports tours are a little different as there are much longer days and less off-the-bike walking – a choice is ultimately up to you though! We are happy for anyone to bring their own bikes. However, the budget airlines charge around £50 each way and packing and carriage can be a hassle. Our Trek bikes are of a high standard, and our customers usually express pleasant surprise at the quality of the machines, so it might be a better option to bring your saddle and/or pedals which we will be very happy to fit. In any case there will always be a backup bike should you have a mechanical problem. Please feel free to call us for advice on bike transportation. The main thing that people who are not regular distance cyclists worry about is a sore behind. This is not as is popularly thought due to too-hard saddles, but friction between skin and garments. This is why professional cyclists wear skin-tight lycra shorts with padded inserts. Many people feel a bit self-conscious in this sort of gear and your local cycle shop will have a range of padded undershorts which can be worn under normal clothing, or regularly styled shorts with sewn-in padded liners. Otherwise, lightweight comfortable clothing (tee-shirts, shorts, trainers) is ideal, with something warmer like a fleece just in case. 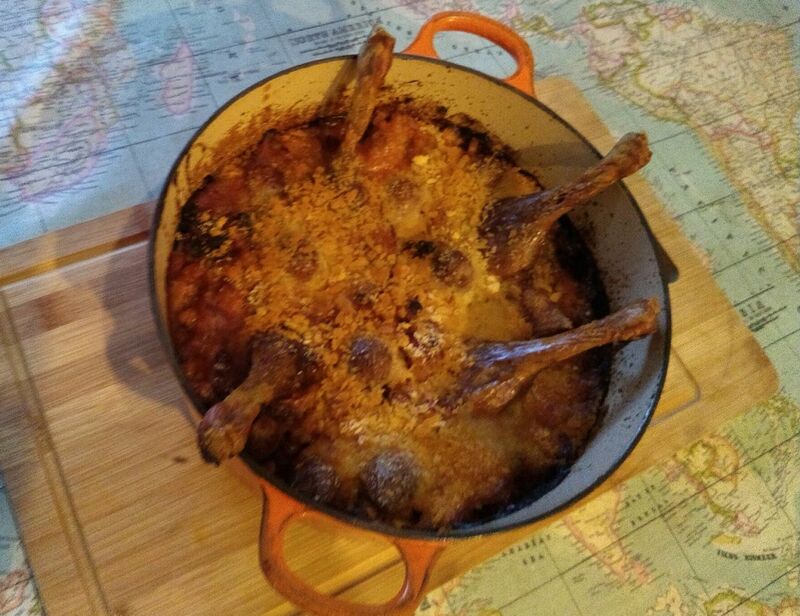 As we will be dining well, you might like to take something presentable (but not formal — no-one on a French Cycling Holiday stands on ceremony!) for the evening meal. As well as being an active holiday, sampling the best that France has to offer, we believe that our trips should be an opportunity to meet people and make new friends. Our groups are limited to a maximum of 16, which is the largest number that we can give a personal service to, and a minimum of 6 people, which we feel is the number needed to achieve a group spirit. If we cannot achieve this number, we may cancel the tour giving a minimum of five weeks notice. What weather are we likely to encounter? We time our tours so that the weather should be ideal for cycling for each tour. 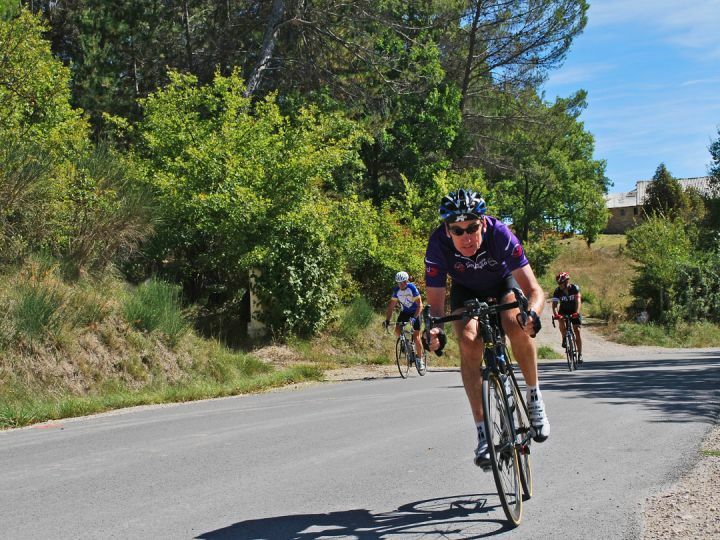 For that reason we have our Provence and Languedoc tours in the late spring and early autumn, rather than in high summer when it can be too hot to cycle comfortably after 10 a.m. The Loire Valley, Dordogne, Bordeaux and Burgundy tours are more temperate, which is why we concentrate these tours in July and August. We cannot guarantee the weather, but it would be very unlucky to have more than one wet day on any of the tours. There is no specific upper age limit — the only constraint is a reasonable level of fitness. Children between 10 and 16 are welcome as part of family groups. We do not recommend these tours for children under 10. We require all participants to have travel insurance with full medical cover. It is part of the conditions of our tours that participant should provide evidence of suitable cover. If you have any questions about the cover required please contact us for advice. What financial protection is in place for my booking? In accordance with “The Package Travel, Package Tours Regulations 1992” customers of French Cycling Holidays Limited will be indemnified in respect of their net ascertained financial loss sustained arising from the cancellation or curtailment of the declared trip travel arrangements arising solely from the event of the financial failure of French Cycling Holidays Limited. This insurance has been arranged by Towergate Chapman Stevens through Hiscox Insurance Company Limited.